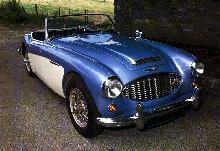 First launched in 1967 the MGC was intended to replace the long running and highly successful Austin Healey 3000 series, however the faithful "Big Healey" were not convinced!. 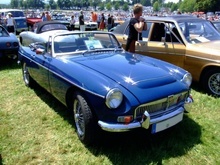 The MGC used a mixture of modified MGB bodyshell and a tuned 2912cc 6 cylinder engine, which it shared with the new Austin 3 Litre saloon. 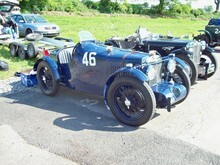 The MGC did feature some distinguishing features such as a small bonnet bulge (to accommodate one of the twin SU carbs) and 15" wheels. The MGC was also considerably more expensive than the MGB, this was not easy to justify to the public as the two cars looked so similar! For many years the MGC was criticised for the way in which it handled and for being to "front heavy", these comments came mainly from early road tests and since been largely disregarded. 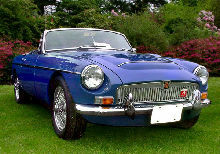 The MGC offered good performance and an attractive bodystyle and made an ideal touring car with a genuine 120mph top speed. 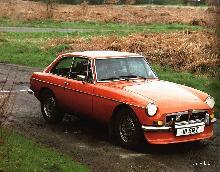 The MGC remained in production for only 2 years, finishing in 1969. Today the cars are sought after classics and command higher prices than their 4 cylinder sisters (the MGB and Midget series). 7' 7" 4' 2" 4' 1" 12' 9" 5' 0" 0 (21) 0' 0"